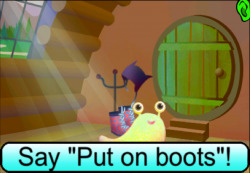 Speech with Sam is a system intended to improve speech therapy for children. 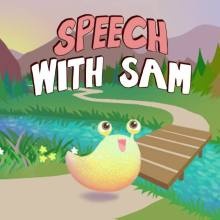 Created by Zachary Rubin, graduate student in the UC Santa Cruz Center for Games and Playable Media, Speech with Sam has been selected to take advantage of collaboration between UC Berkeley and Indiegogo to crowdfund a yearlong user study with children in speech therapy. The previous version of the system, Speech Adventure, was involved in a groundbreaking pilot test last year at the UC Davis Craniofacial Center, led by Dr. Travis Tollefson. The system then took second place at BigIdeas@Berkeley IT for Society Competition earlier this year. Speech with Sam utilizes a novel speech recognition system capable of detecting mispronunciations, and performs all recognition on the device instead of communicating sensitive patient data to a server repeatedly. It is currently designed to detect cleft palate speech impairments. “Nearly two-thirds of children drop out of speech therapy. Combine that with 19 children being born with some form of cleft everyday in the U.S. and a shortage of speech therapists and you start to realize that this will get worse unless we do something. Speech with Sam is the first attempt to provide a solution to both patient and therapist.” Zachary said. Zachary’s research, along with 6 other projects, were selected to take part in a first-ever collaboration between UC Berkeley and Indiegogo. Speech with Sam was the only project selected from UC Santa Cruz. Zachary currently works with Professor Sri Kurniawan in the Interactive Systems for Individuals with Special Needs lab. More information can be found on the lab’s website here.